Jackson County ILGenWeb is a free genealogical site about the history of the county. We hope you find helpful clues for your research of ancestors and relatives of Jackson county, Illinois. Please consider contributing your pieces of Jackson county family history. YOUR HELP IS NEEDED. Our combined efforts can make this a great site for all who visit! Jackson County was organized on January 10, 1816 from Johnson and Randolph Counties. 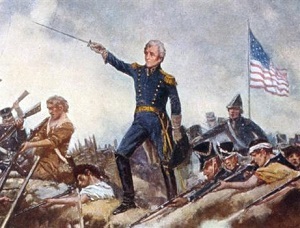 It was named for Andrew Jackson, whose army of Tennessee and Kentucky volunteers defeated an invading British force of 7,500 men in the Battle of New Orleans during the War of 1812. Jackson County is located in the south-western part of Illinois. It is bounded on the north by Perry County, on the east by Franklin and Williamson Counties, on the south by Union County, on the south-west by the Mississippi River which divides the state of Illinois from Missouri, and on the north-west by Randolph County. The county seat is Murphysboro. The original county seat and courthouse were located along the Big Muddy River at Brownsville.